Ants inside your home or apartment can be a seasonal or year-round problem. Many ant species build their nests outdoors, and become a nuisance when they forage for food inside your home. Once they discover a good food source, they may continue to come inside, collect their food and leave to take the food back to their outdoor colony. However, other ant species enter the interior of the building, build their nest inside and become permanent indoor residents. Some of the more common ant species that may invade and choose to reside inside are pavement ants, carpenter ants, odorous house ants, thief ants, acrobat ants and pharaoh ants. 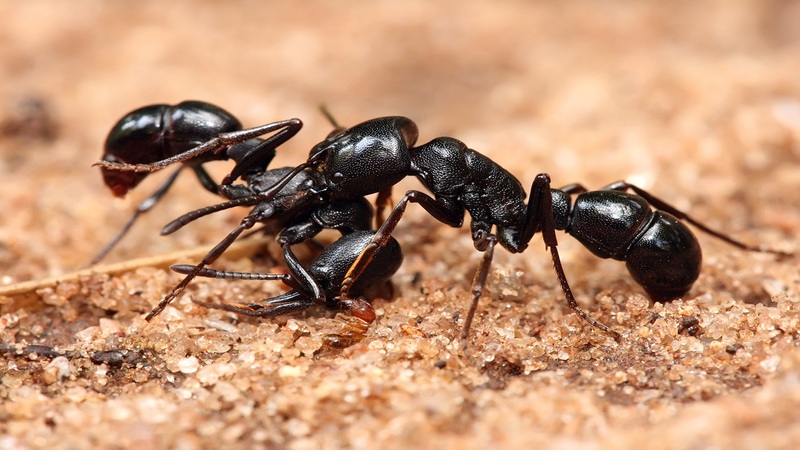 Any of these ants can be challenging to control, but the pharaoh ant is known as one of the most, if not the most, difficult indoor ant to control. 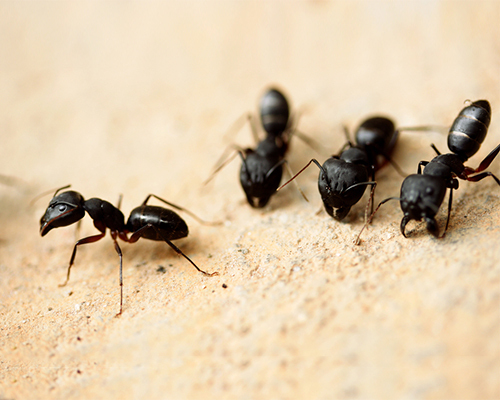 Unless you live in one of the southern states, outside and inside ants are usually a problem during the warmer spring, summer and fall months than during the winter. Inside ants may be found near their food sources, moisture and in hidden, protected places like wall voids, under appliances, behind window frames and beneath floors. Ants are commensal pests, meaning they like to live close to people and eat some of the same things we do – sweets, meats, starches and liquids. It isn’t surprising that they like to take up residence inside our homes, apartments and office buildings?